At AT Cosmetic Surgery in Maryland Dr. Adam Tattelbaum reports he is seeing a tremendous jump in the injectable procedures. Dr. Tattelbaum says, “Botox has the ability to help relax muscles which reduces wrinkles but when you combine this with fillers the results are amazing. 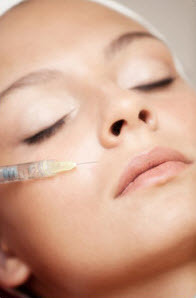 What happens is the muscles relax due to the Botox and then we can use fillers to help fill in the areas of concern”. Injectable fillers, or derma fillers are an excellent treatment for those who want to rejuvenate their aging skin and reduce the signs of wrinkles. The results offer a very natural and refreshed look. One of the main benefits of fillers is the maintenance is much less than Botox about once per year. The combined treatments are helpful for lip volume, crows feet, facial outlines, forehead wrinkles, naso-labial furrows, soften smile lines and many more.